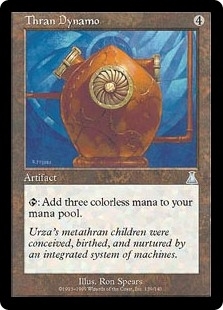 Repercussion ($8.74) Price History from major stores - Urzas Destiny - MTGPrice.com Values for Ebay, Amazon and hobby stores! 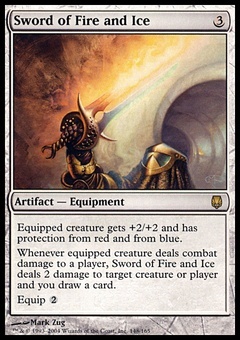 Card Text: Whenever a creature is dealt damage, Repercussion deals that much damage to that creature's controller. 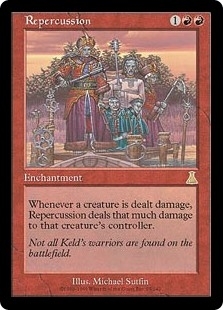 Flavor Text: Not all Keld's warriors are found on the battlefield.